Here is our list of premium but free vst plugin sites. While there are hundreds if not thousands of sites that offer vst plugins in there download section there are only a handful that have a decent selection. Bookmark this page and come back whenever you want to add some extra effects to your music or sound scores. Thanks for visiting, here is the list. 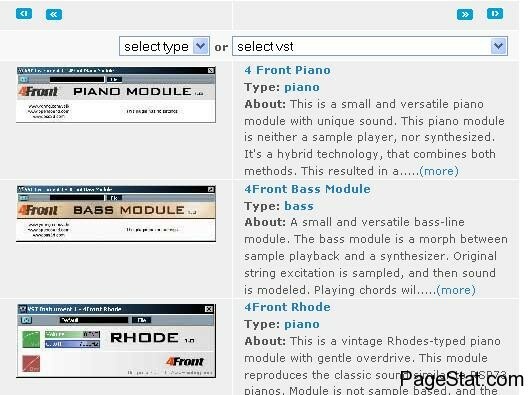 Free-loops.com has a wide selection of vst plugins in various categories like piano, bass, synths, granulators, filters, distortion, modulators, emulators, chorus, vocoders, tremelo, delay, equalizers, gate reverb, and compressors. They have a decent selection around 80-100 or so. They also pair these vsts with mp3 previews for most so you can hear what they sound like without having to download and install them first. Rapid development of IT industry and Internet, results in great changes in the world of music. Consequently, everyone who owns a PC and at least a bit of talent for music can make music. Steinberg, with his VST technology, made a real revolution in the field of music. Today, on Internet, there are many quality VST plug ins, both expensive and free ones (that are also high quality). 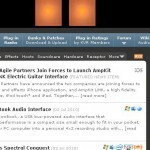 On this site, you can find a lot of free VST plug ins. This is a site dedicated entirely to vst plugins and nothing else. Its a vst plugin list as the name suggests. 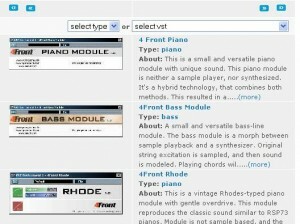 It has the ability to sort by instrument and effect, as well as a nice rating options so you can see what others think. Last but not least the site kvr audio. These guys are pros and dedicated to music production. KVR Audio Plugin Resources, news and information about open standard audio plugins. These guys update pretty often and are also a great source for industry news. Worth a view or two.